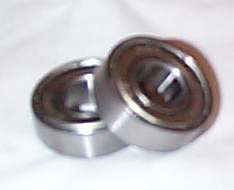 The 608ZZ bearing is a high precision bearing used in roller blade wheels. It measures 8mm I.D., 22mm O.D. and 7mm wide.